The challenges to U.S. intermediate-range missile deployments in Asia shouldn’t be overlooked. It’s been a little more than a week since U.S. President Donald J. Trump announced at a campaign rally that he would withdraw the United States from the 1987 Intermediate-Range Nuclear Forces (INF) Treaty, the last Cold War-era arms control agreement between the United States and Soviet Union that remains in force today. The treaty banned both sites—and now Russia—from testing, deploying, or possessing ground-launched cruise or ballistic missiles with ranges between 500 km and 5,500 km anywhere indefinitely. 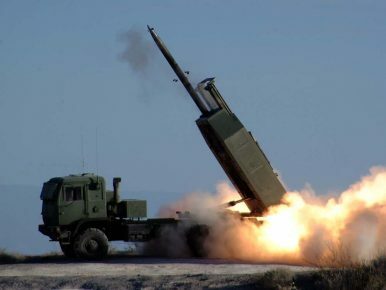 More than 2,500 missiles were destroyed to see through the implementation of the treaty, leaving both countries with ground-launched intercontinental-range missile systems and shorter battlefield-range conventional weapons until Russia, in the past five years, developed and deployed the SSC-8 Novator, a ground-launched cruise missile that violates the INF-proscribed range limitations. The Trump administration has made a decision on INF with two primary impulses. The first is the Boltonian—that is, Trump’s national security adviser, John Bolton—aversion to arms control in general. Bolton was present at the destruction of the Anti-Ballistic Missile (ABM) Treaty in 2002 and has now led the charge against INF. The second impulse is the Trump administration’s broader push toward adopting a competitive strategy against China. Some 95 percent of China’s ground-launched missile arsenal would be prohibited by the INF Treaty were it a member, according to testimony by the former commander of U.S. Pacific Command Adm. Harry Harris. I’m more skeptical on the prospect for a variety of reasons—mainly, I’m not yet convinced that the perceived benefits of the flexibility that the United States would gain with ground-launched system in Asia—likely road-mobile ground-launched cruise missiles—would offset the immense disadvantages in Europe, where Russia is likely to step up its deployment of the SSC-8 unencumbered and without any reputational costs as a treaty violator. The head-scratcher with INF deployments in Asia mainly stems from the challenging geography available to the United States, even with its network of allies and partners. Even conventional ballistic missiles will prove to be a political hot potato on allied soil, where local constituencies in particular are likely to object to the hosting of American missile deployments. For instance, even Japan, which has expressed its trepidation at the prospect of U.S. withdrawal from the Treaty, would see major prefecture-level opposition to these kinds of deployments. Even if the Abe government were to come around and call for U.S. INF deployments, domestic constituencies and prefectural-level governments in places like Okinawa will limit options—or at least impose serious political costs on the central government. As Farley notes in our podcast discussion, domestic politics in each of the above countries can be highly plastic and prone to change, especially should China continue its current assertive trajectory. Should threat perceptions increase in these countries—as they did toward the Soviet Union in Western Europe in the early years of the Cold War—suddenly, a wider range of U.S. deployments become plausible. In the current geopolitical and domestic political climate in these countries, a permanent deployment of new U.S. missiles appears less likely. There are, of course, ways to calibrate and mitigate these problems. For instance, some advocates have called for the rotational forward deployment of ground-launched cruise missile batteries from U.S. territories in the Pacific in moments of crisis, to signal U.S. resolve. That is a far cry from a permanent deployment, but comes with its attendant disadvantages and logistical challenges. Above all, should the United States push ahead with withdrawal, it will be incumbent on the Trump administration to begin consultations with U.S. Asian allies sooner rather than later, if part of the plan with withdrawal really is to eventually deploy INF-proscribed cruise missiles. The INF debate with regard to China and archipelagic defense, once a niche topic of interest for just a handful of U.S. defense analysts, has suddenly sprung to life by the Trump administration’s decision to withdraw. It’s clear that there’ll have to be considerably more debate and discussion on this issue going forward. The geographic and alliance management issues highlighted above, after all, are far from the entire picture. There are other, more mundane questions, too—like what a new U.S. ground-launched cruise missile system that would have use in Asia would actually look like. The current crop of systems in the U.S. arsenal that might be modified to fit a new road-mobile launcher, to my mind, all have their setbacks, setting up a potential need for a more bespoke solution that could decade years of design, development, and testing in the first place.